Summer Reading 2015 | SUMMER READING 2018: LIBRARIES ROCK! Sign up for our summer reading challenge during the month of June. You may register online (click on Reading Challenge tab, above) or at the library during public library hours. Here is how it works; sign-up, check out a book, read it, and then upon returning it, you will receive a prize. There will be live animals, active storytelling, touchable artifacts and interactive demonstrations to explore the super-human world of animals found right here in our own back yards. Presented by the Southern Vermont Natural History Museum. Co-sponsored with Chittenden Rec. @ Saint Alphonsis Parish Hall in Pittsford. Join us in celebrating summer, reading, storytelling, and free books with the Children’s Literacy Foundation! Joint event with Maclure Library. Sign-up required. Join us for a 3 day class to learn how to turn old books into works of art. Recommended for ages 13 and up. Sign-up required. Back by popular demand! Please register your stuffed animal between 1-6pm. Stuffed animal pick-up is Thursday, 7/23 between 1-6pm. 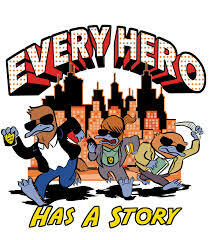 Join us as a local hero leads this special story time. Every child in attendance will receive a free book. Join us for a variety of music and free ice cream! There will be craft and Lego tables set up all summer that will highlight a craft and Lego challenge for the week. Geared towards children 4 and under but all ages welcome.